Termite can cause thousands of dollars worth of damage to your home and provide homeowners with a seemingly never ending strings of headaches and stress. Homeowners can avoid a termite infestation by using a variety of precautionary measures to keep the termites out and help keep your property protected from these unwanted visitors. 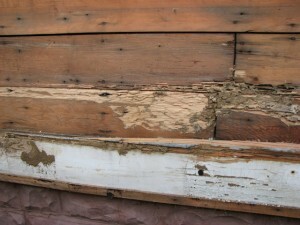 Termites usually enter the home when wood touches the soil, providing the termites with immediate access to both the wood and to anything connected to the wood. The best method of termite prevention is to keep the wood at least 6 inches above the soil. Keep the mulch levels a couple inches below the siding and wooden parts of the building. Try to avoid using wood mulch near the foundation. Dead trees, stumps and roots can all serve as ways for termites to penetrate into the home. Any type of wood that connects the home to soil can lead to termites sneaking into the home. Like all organisms, termites are not able to survive without water. 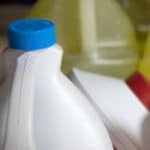 Moisture problems, combined with a source of cellulose, can be a recipe for a home’s destruction. Homeowners must identify whether they have a moisture problem and must then identify the source of the problem. One approach is to try to grade or slope the moisture away from the property so that the home does not develop moisture problems when it floods. 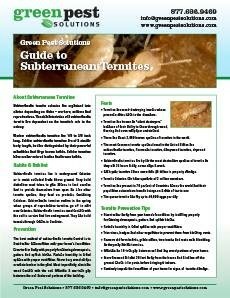 Combating moisture can help prevent more than just termites, since other pests such as cockroaches are also more likely to infest a home when there is water present. Other causes of excessive moisture in the home can include down-spouts, gutters, sprinkler systems, excessive mulch, plants and ground covers too close to the foundation and plumbing leaks. Faucets, pipes and air conditioning units can all cause leaks that must be repaired to make termite prevention possible. It is possible to have a wooden porch or deck without termites, but always use metal flashings when attaching the porch or deck to the house and always to ensure termite prevention. Despite taking all of the necessary precautionary measures, homes will sometimes still fall victim to a termite infestation. The most obvious sign of termites is finding one in your home. Termites sometimes look like ants, but the termites have wings that are the same size, broader waists and straighter antennae. Since the termites shed their wings, discovering wings inside the home will also be an indication that the home has an infestation. 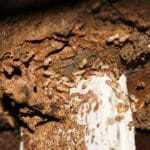 A less obvious sign of a termite infestation is the discovery of decaying wood. While water and fungi can also damage wood, termites characteristically line the damaged wood with soil. Termites will also dig up tubes along structures such as cinderblocks, concrete and other hard surfaces in an effort to get to wood. 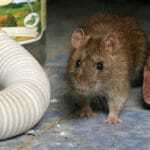 Discovering an internal infestation is a sign that the home needs a professional exterminator. 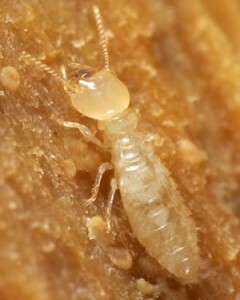 Since termites want wood so badly, wood bait is one technique that an exterminator will use for a termite treatment. 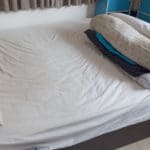 The goal of bait pest control techniques is to get termites to consume the poisoned bait and then carry it back to the nest where the remaining termites are poisoned through the feeding and grooming process. Another type of termite treatment involves the introduction of termite repellents into the home and it’s surroundings. Repellents are unappealing to termites and will encourage them to leave. These chemicals are applied to entry-points and strategically by your professorial termite exterminator. If you decide to call a local exterminator, be certain that they are licensed and insured. Ask your termite expert about proactive treatment options that can help protect your home against future infestations.